Alison was appointed chief executive of Advance HE in autumn 2017. Prior to that she was the chief executive of the Leadership Foundation. She has worked in higher education for 25 years. Before becoming chief executive, she was head of policy for leadership, governance and management at the Hefce (now the Office for Students), where she established both the Leadership Foundation and the Equality Challenge Unit. She is a past president of the Association of University Administrators (AUA) and represents the UK on the Association of Commonwealth Universities Human Resources Management Network and has recently joined the British Council’s planning committee for Going Global, the major international higher education conference. Alison has extensive international experience of higher education including leading the review of teaching and learning for the Australian government. This led to the establishment of the Office for Learning and Teaching to enhance teaching quality across the Australian higher education sector. 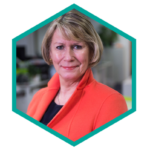 Alison regularly takes part in conferences and events, both nationally and internationally, speaking on all aspects of university leadership, governance and management. Jon-Connor Lyons is a Manchester City Councillor for the city centre and a Sabbatical Officer for the University of Salford Students’ Union. 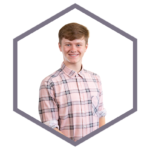 Jon-Connor is passionate about representing his residents in the city centre amongst the economic development and giving a voice to Salford students, holding his University institution to account and working with their Senior Leadership to deliver for students. Jane joined Newcastle University in 2019 as its first Dean of Engagement and Place, focussing on building partnerships to enhance the University’s contribution socially, economically and culturally. Previously, Jane was Durham University’s Chief Operating Officer with strategic oversight of operations and external engagement. Before taking up her position at Durham, Jane was Chief Executive of Gateshead Council. Jane also played a leading role in the establishment of the North East Combined Authority and the Commission on Health and Social Care Integration. Jane has also held leadership positions in the cultural sector, including Director of External Relations at Arts Council England, where she led major corporate initiatives that included Local Government liaison, creative industries development and overseeing capital programmes. Jane holds an MBA and Master’s and Bachelor’s degrees in English Literature. She is also a Fellow of the RSA; Chair of Culture, Creativity and Education (an international charity which supports creative learning) and holds non-executive positions with the North East Local Enterprise Partnership, Durham Cathedral Council, and the Tyne Community Learning Trust. She is married with three sons. Liz has been Vice Chancellor and Chief Executive at Staffordshire since April 2016, having previously been Deputy Vice Chancellor at Sheffield Hallam University and Derby University, following a long career at Teesside University. As a leading provider of Higher and Degree Apprenticeships, Staffordshire University has a strong connection with businesses across the region. Throughout her career, Liz has built relationships with employers and industry working in partnership to provide vocationally relevant courses and upskill the workforce. 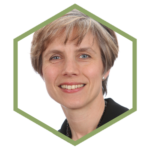 With an academic background in physiology she worked closely with the NHS developing new ways of working and qualification frameworks. Subsequently she has led on significant developments with law enforcement agencies. Liz’s career has been built around leading learning and teaching and the student experience, with a passion for creative and innovative approaches to enhance the student journey and student achievements. Her enthusiasm for digital technologies and their transformative effect on the learner’s experience and in the workplace led her to join the JISC Board in 2016. Under Liz’s leadership, Staffordshire University has seen a meteoric rise in various league tables and has broken into the Times Higher Education’s World University Rankings for the first time. Committed to education and young people, Liz is a member of four Multi-Academy Trusts in the region and one in London. 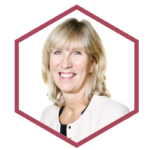 She is also Co-Chair of the Opportunity Area Partnership Board and is passionate about social mobility. Liz believes that education, employers and civic partners work jointly to improve the life chances of young people in Staffordshire and beyond.